Just like movies and television, live theatre has been a source of entertainment all around the world, including Pakistan. While cinema has been the nation’s first priority, live theatre has always retained its viewership as an equally good source of entertainment. As an Islamic state, initially, political plays and plays raising social awareness were largely performed, which posed an obstacle when it came to the progress of performing arts in the country. With the passage of time and the increase of education and liberation in the country, we started venturing into many different genres. One such name that changed theatre in Pakistan was Manto, whose writings are still remembered to date. Today, not only have our plays advanced but are also now being performed internationally in our national language i.e Urdu. While we have superb theatrical actors, there are still a lot of things that are stumbling blocks when it comes to Pakistani live theatre. Though we have exceptional writers and actors (Ahad Raza Mir, Sanam Saeed, Sarwat Gilani, Yasir Hussain, etc. being a few of them), it is the infrastructure that becomes an obstruction in the advancement of our theatre. Another issue would be the subpar marketing of quality live theatre, which becomes another hindrance for the plays’ progression. Low wages of the actors performing in the plays, make them switch to the television industry and that further adds to the problem. 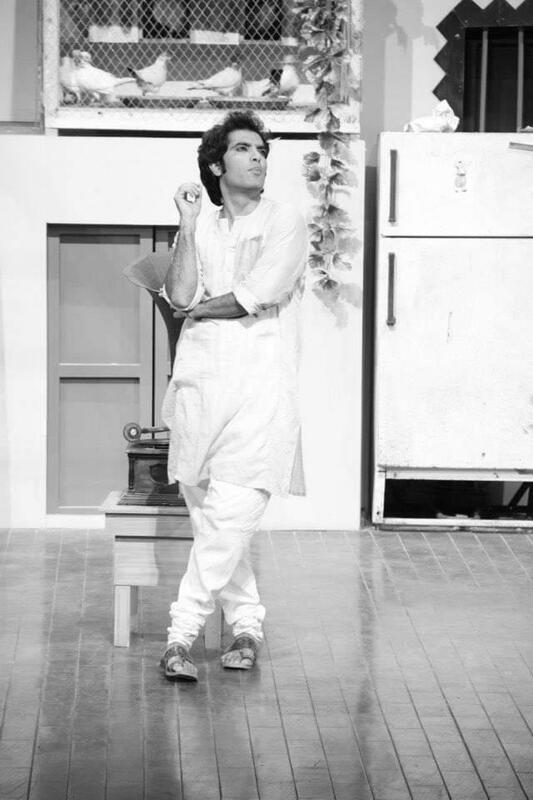 Talking about the modern theatre, we have many famous names that can be mentioned here, one of them being the multi-talented, Yasir Hussain. Yasir further added that “I couldn’t do television, which is why I’m doing theatre and I enjoy it more.” He also mentioned that the lack of infrastructure, lighting, backstage and the lack of quality theatres with good acoustics are a major setback. “We only have performable theaters in Lahore, Karachi, and Islamabad, but none for multidimensional theatre. We cannot make quality plays without good theatres”. Another exceptional actor would be the very famous Ahad Raza Mir, who recently worked in a Canadian play “Hamlet”, and was highly appreciated for it. In an interview with SomethingHaute, Ahad said “Theatre is what got me started. It’s a must to explore different avenues of performance in Pakistan. The theatre here is good, it’s getting there, but I think it’s time to open up that world a bit more”. Low-quality commercial theatre in Pakistan, with low ticket prices, have also played a big role in the regression of theatre. Increasing vulgarity and obscenity in these commercial plays have put in a bad name for theatre in the minds of the Pakistani audience. Not only should these be regulated by the government, but the infrastructure of the theaters should be refined too, to promote good quality live theatre. In today’s modern era, where nearly every aspect of human life has been taken over by machines and technology, live theatre is something that will always give one a breath of fresh air. Where cinema and television are progressing in quality and performance by leaps and bounds, live theatre is something that portrays raw emotions that can’t be seen on screens. Therefore, it is something that now needs to be promoted further, for children as well as adults.